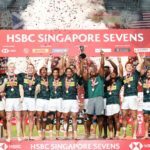 The Blitzboks overturned a 19-point deficit to beat Fiji 20-19 in the Cup final of the Singapore Sevens on Sunday. DYLAN JACK reports. 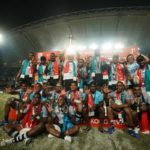 Fiji beat France 21-7 in the Hong Kong Sevens Cup final to win the title for a record fifth successive time. DYLAN JACK reports. 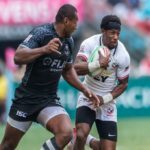 Fiji will meet France in the Hong Kong Sevens final after claiming a thrilling 28-19 victory over the USA on Sunday. 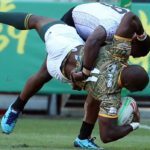 Fiji survived a Blitzboks comeback to claim a 14-12 victory in the fifth-place semi-final in Las Vegas on Sunday. DYLAN JACK reports. 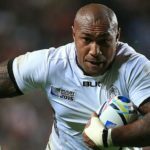 Fiji wing Nemani Nadolo will not form part of their squad for the World Cup after announcing his retirement from international rugby on Thursday. 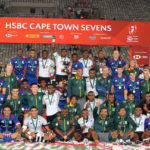 Fiji produced an impressive all-round performance to comfortably defeat the USA 29-15 in Sunday’s Cup final at the Cape Town Sevens. 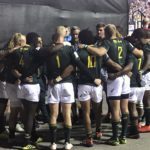 The Blitzboks conceded a last-minute try to suffer a heart-breaking 17-12 loss to Fiji in Sunday’s Cup semi-final in Cape Town. CRAIG LEWIS reports. 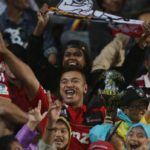 A bid to set up a Super Rugby team from the Pacific Islands has been turned down. 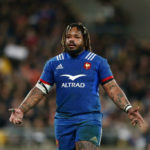 France centre Mathieu Bastareaud gave an angry speech to his teammates after their 21-14 loss to Fiji in Paris on Saturday. 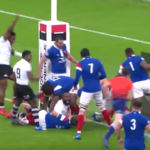 Highlights of Fiji’s 21-14 win against France in Paris.